Imagine if a new ice age froze everything. That would be awful. Now imagine if a new ice age only froze classic cocktails in the middle of August. That would be great. 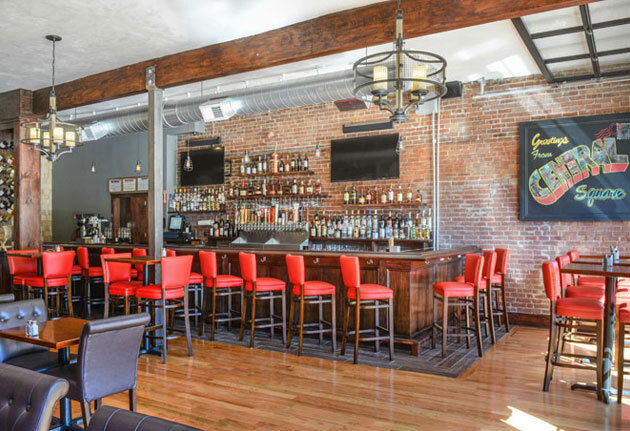 But since that may not happen, we found you these five frozen libations instead. 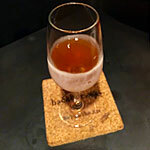 The Drink: While not technically frozen, this coupling of rye and Bénédictine is stored in a freezer at 10 degrees Fahrenheit until you summon it to your bar stool. You don’t even want to know what that is in Celsius. Level of Iciness: Either one of Kanye’s wrists. The Drink: The Manhattan, deconstructed. You’ve got your glass of bourbon. Your cube of semi-frozen Punt e Mes. And the decision to either slowly dissolve the cube in the bourbon or eat it for a weird and potentially painful brain freeze. Choices. Level of Iciness: A Gwyneth Paltrow/Chris Martin reunion. The Drink: Yes, that mojito, with the rum and everything. You won’t find it among their usual frozen drink selection. But believe in it hard enough and it will happen. That or just ask the bartender to make you one. Level of Iciness: Ten consecutive Ice Bucket Challenges. The Drink: It’s the national drink of Bermuda, so its main ingredient is blended scotch. Jokes are fun. 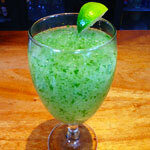 But really, it’s rum, falernum and citrus juice served in a frozen glass stacked high with blended ice. Level of Iciness: A broken North Dakota hot tub in January. 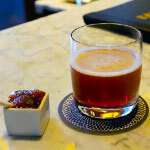 The <em>Pimm’s Cup Slushie</em> at Merrill & Co. 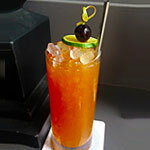 The Drink: Imagine if you could crossbreed a bottle of Pimm’s with a Slurpee machine. 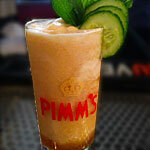 Then stop, because A) whoa, and B) there’s a South End patio where this slush-ified Pimm’s Cup already exists. Level of Iciness: Willem Dafoe staring contest.